Petra hotels Jordan .....Petra Gate Hotel is located in the city center, just a 50 yards from the city center, and 3 minutes walk from the roundabout , where the bus stops. The hotel has been highly recommended by many guide books including the Lonely Planet, Lets Go, Middle East, Ruff guide, french book and Japanese guide books. We offer transportation from the airports and everywhere from Jordan, Tours to Wadi Rum by the cheapest prices you can find with us! free luggage storage, internet WiFi, laundry as well .Our English speaking, super friendly, honest and helpful staff are here to answer all your questions, and to help you during your stay. 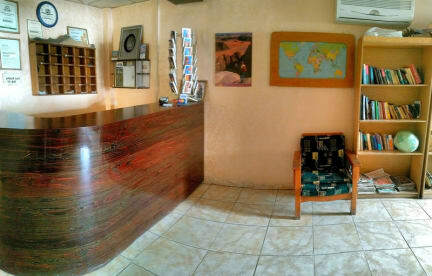 We have massive experience to let you enjoy during your stay in our hostel ! In our hostel you will find family room with 4 beds, triple, single and double bed rooms, All of them with bathroom and toilet. We had a good hostel experience and the staff was very helpful and friendly. The hostel is very central, but also located in a noisy neighborhood - very close to a minaret. So it's a good idea to bring earplug. Pretty basic in terms of amenities, but no complaints here. They provide breakfast, lunch boxes, and dinner for an extra fee and have a pretty nice rooftop area. The main draw is the excellent location - just a short five minute drive from the entrance to Petra and right next to the main street if restaurants. Very basic. Fine but high priced at 40JD. I had a very tiny room, a squeaky but clean and warm bed. Cold shower, which I'd have been fine with if not for the absence of towels. Breakfast and dinner were optional for I believe an additional 7JD. I didn't have either so can't really comment. Clerk was very polite, helpful, and spoke perfect English. He did however assure me that my bus ride was included in the bill, but the bus driver was unaware of any such arrangement, to my slight chagrin. 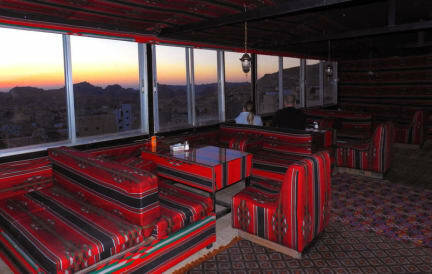 We arrive at the hostel by night in order to leave in the early morning to see the sunset from Petra (a must-do thing!). The owner of the hostel was really nice and helpful and the room was not bad. Only thing that left us a bit concerned: the bathroom had no door, only a curtain. Since we were two friends traveling together the lack of privacy was a bit embarrassing. Anyway, overall the hostel was nice and the view from the terrace so pretty! Dirty toilet. Actually, there is plumbing issues as I smelled some septic air. There are garbage that were dump just beside the window of the lowest ground accommodation. The facilities could have been improved in terms of cleanliness and infrastructure. Poor customer service, wouldn’t recommend. This place was pretty dirty and really wasn’t anywhere we wanted to stay. The front desk guy was nice and the breakfast looked alright but after seeing how dirty our room was I didn’t want to eat there. I had hairs in my bed so it obviously wasn’t washed and the curtain had mold on it and the floor was super dirty! Honestly we moved hotels the second night..